You will get the similar output, all “yes” means it works perfectly. All settings will be done in ccsm. 3.) In CompizConfig Settings Manager, click to go into Gereral Options -> Desktop Size. Set Horizontal Virtual Size to 4, and others to 1. 5.) If you still can’t get it work, use following commands to remove all previous settings. And finally restart. 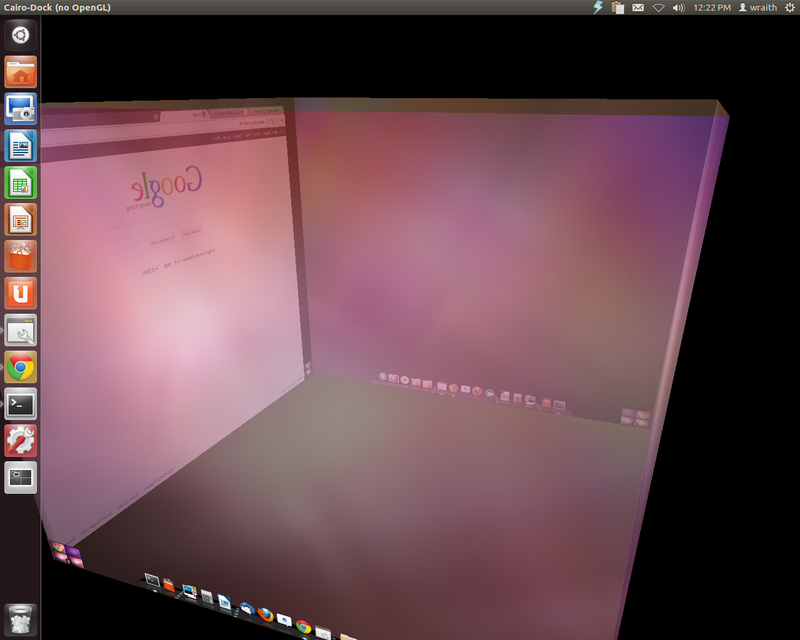 12 users responded in " Enable Compiz Desktop Cube in Ubuntu 11.10 Oneiric Unity "
did every thing still dont work . it is also supported. but i removed unity and installed genome 3 and shell. currently using genome classic desktop . 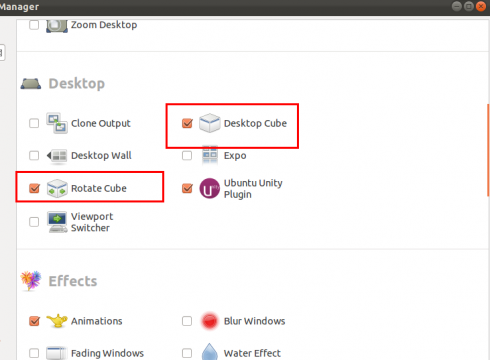 pressing ctrl alt and left or right only shows a menu to change desktop workspaces. . help ! I followed the instructions and cube worked, but unity was gone. I enabled unity plugin in ccsm and resolved the conflict by accepting the proposed option. Now I have Unity with 3d-cube running on 11.10.
the cube is working but there’s a problem with launching apps in Unity: the windows appear at the top left edge of the screen, under the top bar and also under the launcher. So every time I launch a Nautilus window or anything I have to drag it out from under there which can be tricky as there’s only a tiny amount of the app title bar showing. Anyone know how to fix this? I also have the flashing screen after rotating. Furthermore Dash and application switcher (alt-tab) are rendered below windows. OK, first off, it should automatically be set, you can hold the ALT key to click-drag a window from any position inside of it, this will help with the top left thing. The screen only flashes extremely briefly once after I rotate the desktop. The way I got the cube to work was extremely simple. Get the compiz app, run it. 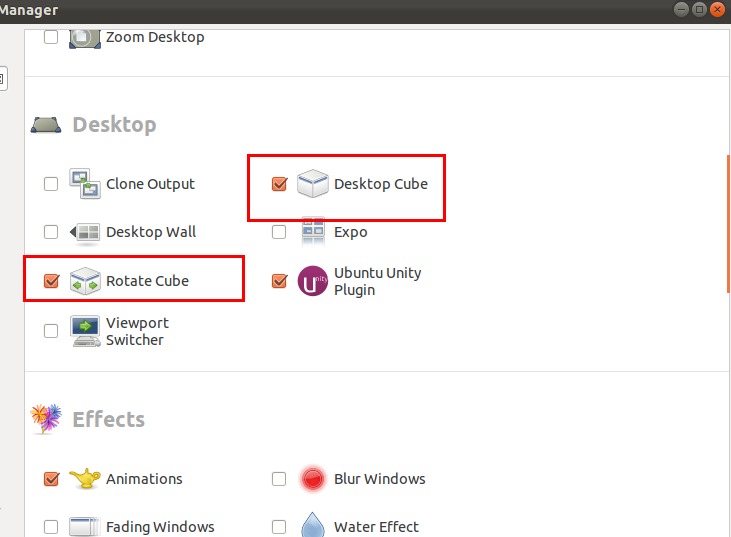 First UNCHECK UNITY, goto general options->desktop size, set the 3 options to horizontal 4, vertical 1, and # of desktops to 4. Activate the cube, tell it to stop using the wall or w/e, then select rotate cube, then select unity, and tell it to ignore the conflict. Done. (if you have it set, press super+s to see how many desktops you actually have active). If you uncheck the cube, and the screen seems messed up, open a terminal window (usually ctrl+alt+t) and type –unity replace. If you cant open a terminal window you can usually just log out or reset the computer and it should work. sorry sorry sorry! it worked i just had to restart that was all.